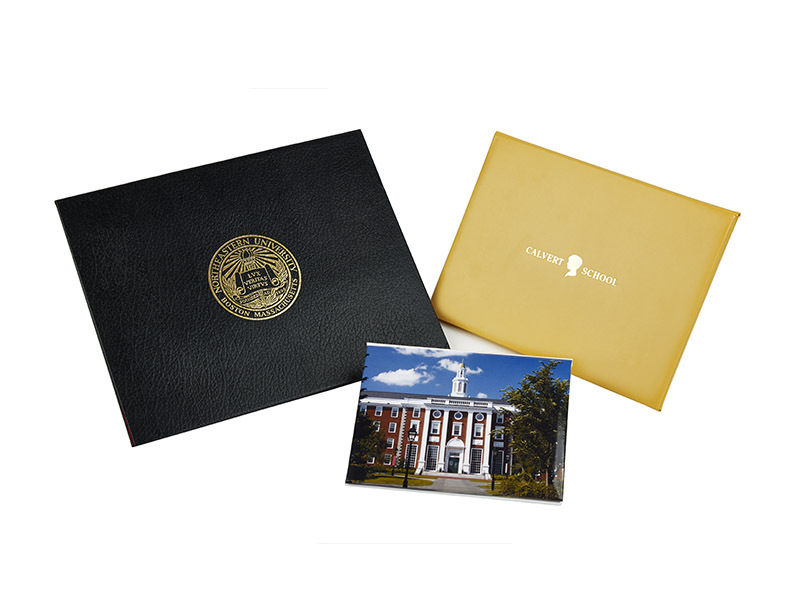 Proudly made in the USA, our padded diploma (or certificate) covers can be personalized with your school’s seal, logo or selected text for a truly one-of-a-kind presentation. Foil stamping and debossing provide intricate detail and elegance. We offer everything you need in educational products. Contact us today for immediate service or to discuss the many options that Union makes possible. 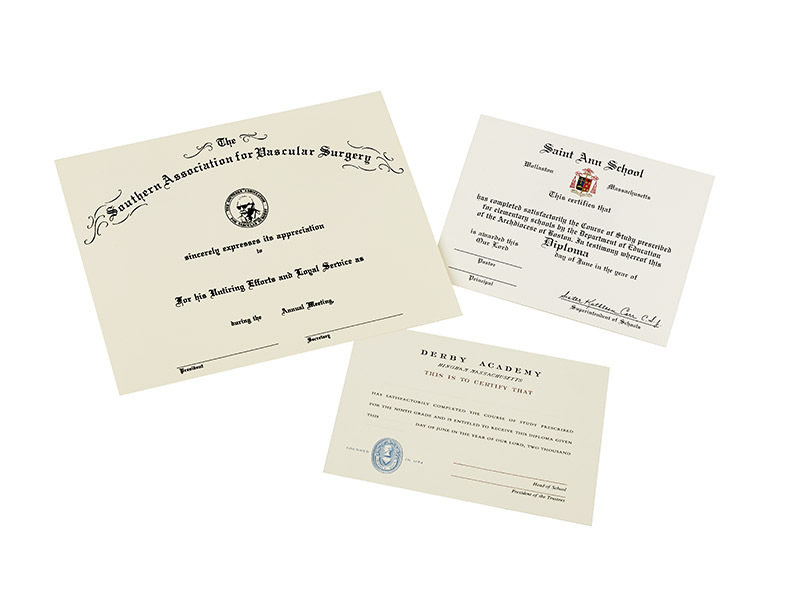 The Union Group is proud to offer an array of diploma and certificate products that are precisely crafted to commemorate a student’s remarkable achievement with great distinction. 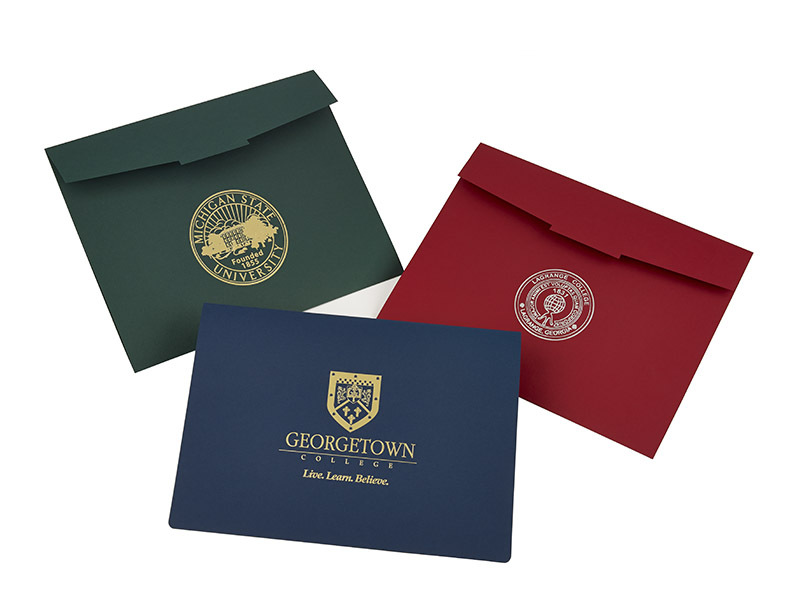 Our college and high school diplomas are made from the finest materials available. Graduates the world over have received our beautifully styled diplomas as a lasting memento of their hard work. Customized offerings to meet your unique needs. Constructed of the finest quality diploma stock. Embossing, foil stamping, and machine calligraphy. Available in several styles, and features hand and machine calligraphy. Our customer service department will be happy to explain the many options available as well as answer any questions you may have. Contact or call us for immediate service or for any questions regarding our products. Our document holders accommodate both 8”x 10” and 8 ½ ”x 11” certificates, keeping them safe by preventing them from being torn, smudged or soiled. Our custom certificate covers also include corner slots for secure insertion of documents.